Semi-Finals indicated by "-SE"; and FINALS indicated by "-G"
Pregame with Coaches, make sure the heading policy and build-out line are clear. U9 & U10: 8 yards for restarts. ​Penalty Kick Mark is 10 yards. Applies to U9, U10 and U11 matches. If a ball strikes the head of a player whether it is deliberate or not, check with the player - SAFETY FIRST. Inside penalty area = IFK to be taken on the penalty area line parallel to the goal line at the nearest point to where the infringement occurred. Bring the ball out to the penalty area line. 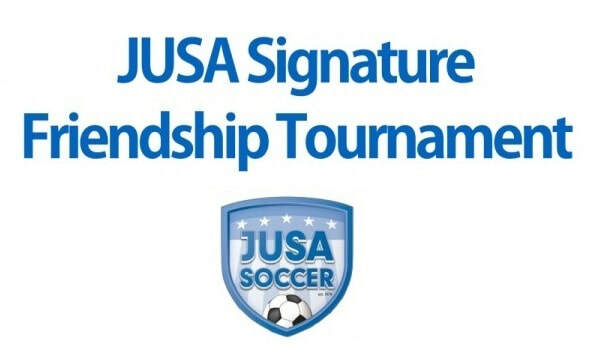 In the case of any player send offs or coach expulsions note it on the Tournament Roster and complete a USSF Referee and Supplemental Report at the field turn it in to the Tournament Coordinator. Complete a NOCRA Misconduct Report within 24 hours. Tournament Coordinators will check in the teams. PLEASE DO NOT CHECK OR CROSS OFF ANY PLAYERS ON THE ROSTER. Referees to do a Player Safety Check. Each Coach will provide you with their tournament roster. 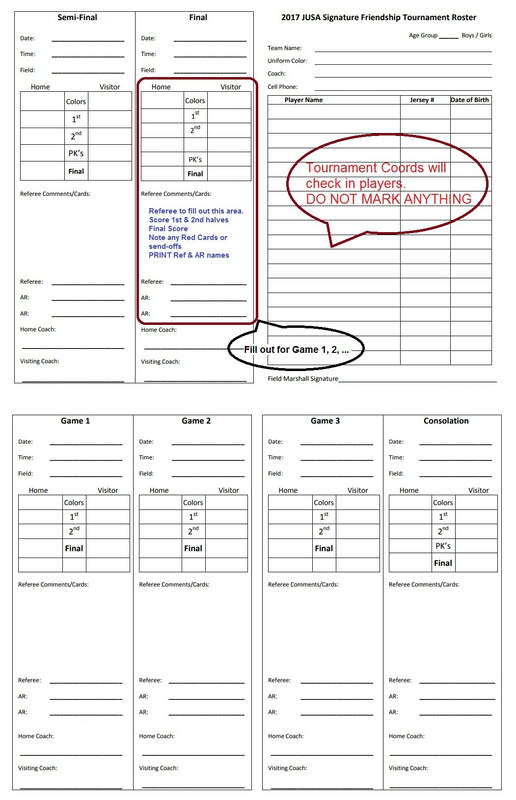 A completion of the match enter the Scores, Ref Names and any red cards or send-offs; have both coaches sign each roster and return the roster to each coach. Take a snap shot if you have any red cards or send-offs.